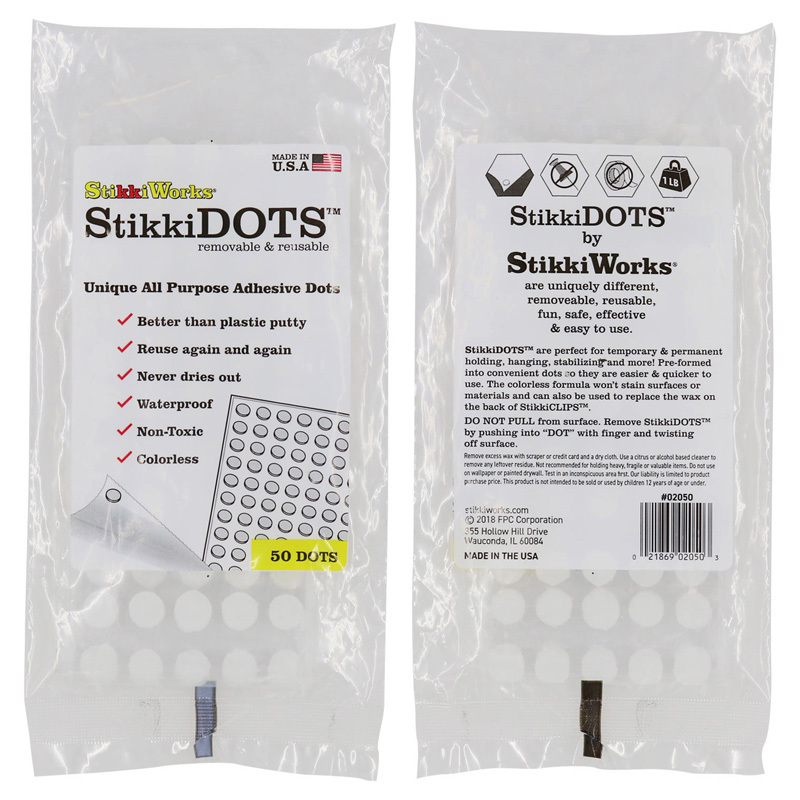 StikkiDOTS®reusable adhesive - Unique All-Purpose Adhesive! 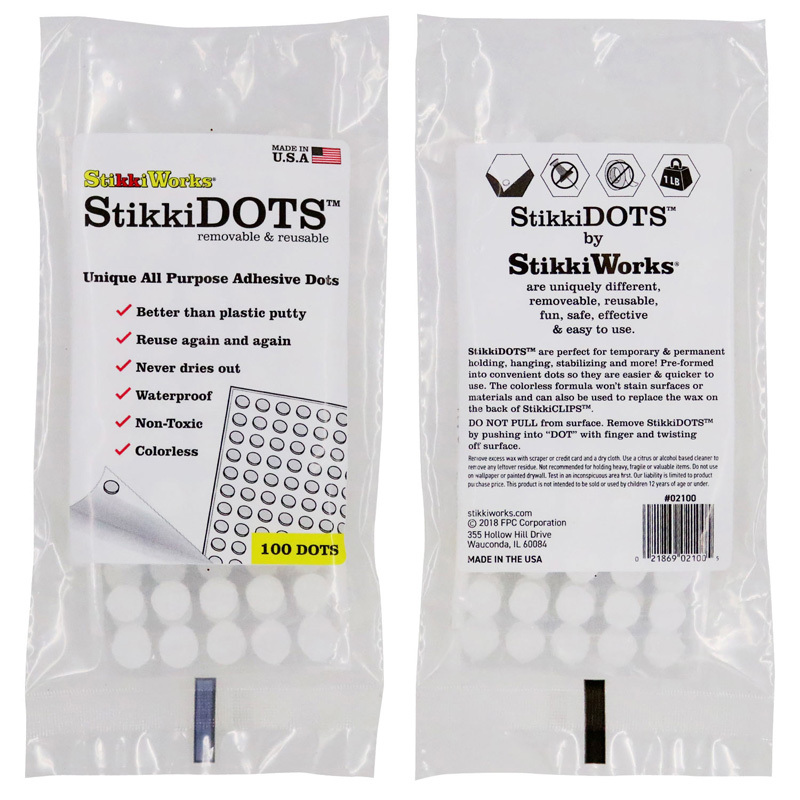 These great little StikkiWAX dots are perfect for both temporary and permanent holding, hanging stabilizing and much more! They're pre-formed into convenient little dots so they are easier and quicker to use. They hold to any to surface and the colorless formula won't color stain materials or surfaces. Non-toxic, non-putty type wax adhesive is removable & reusable and never dries out. 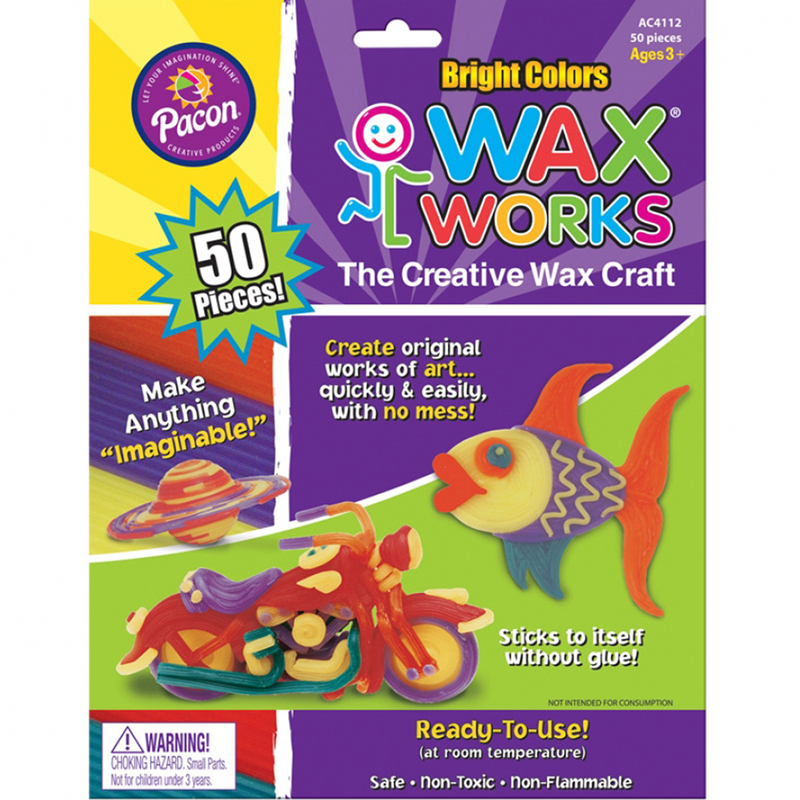 Also great for replacing wax on the back of StikkiCLIPS & StikkiCLIPshapes. Replaces pins, tacks, staples & tape. 100's of practical uses! The Stikkidots Pack Of 100 Dots can be found in our Wax product category within the Arts & Crafts.